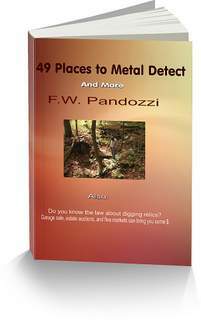 Here is a list of Georgia metal detecting clubs. 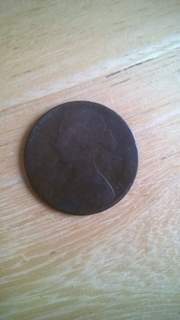 The North Georgia Relic Hunter’s Association was formed in 1972 in partnership with the City of Marietta Department of Parks and Recreation. The association has over 120 members from all walks of life. The purpose of the North Georgia Relic Hunters Association (NGRHA) is to further the enjoyment of responsibly collecting Civil War relics, old bottles and coins, as well as other items from years gone by. The NGRHA is dedicated to preserving Georgia history through responsible excavation. Welcome to the Georgia Research and Recovery Club web site. The club is dedicated to the responsible hobby of preserving the past for future generations. The purpose of this club is to provide social, technical and recreational informational exchange activities that provide for the enjoyment of hunting and collecting items from the past and present. The Stone Mountain Treasure Hunters metal detecting club is dedicated to the preservation, promotion, and protection of the hobby of recreational metal detecting. The club is made up of people around the metro Atlanta, Georgia area. Georgia - home of the first major gold rush in the United States! Beginning with the discovery of gold in the 1820's on what was then Cherokee Indian land, millions of dollars worth of raw gold was taken from the North Georgia mountains. Despite the countless number of miners that have passed through the area since then, gold is still being found on a regular basis by recreational miners today. Unfortunately, unlike the western states where public land abounds, virtually all of the gold-bearing property in Georgia is privately owned making access difficult for most individuals. Please use the form below if any information regarding Georgia metal detecting clubs is incorrect, or if you would like me to ad information about a club I may have missed.